The most impressive view it is possible to get with Mirage IV and his ready to install complete mission panoply: AN-22 nuclear weapon and JATO elements. 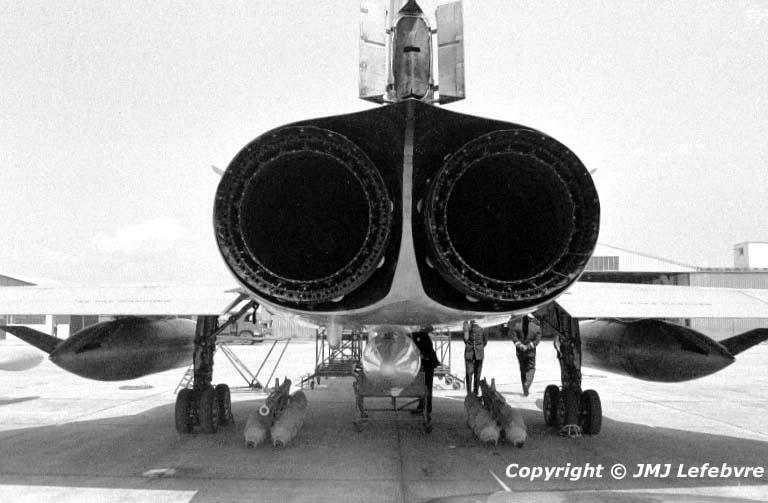 Note the drag chute doors which surely also act as air-brakes during landing. Funny the opposite walking of pilot and navigator in clasic uniform to be sure I am not picking-off their JATOs nor the nuke bomb under quite very close examination by a visitor who had the head in the bay and the nose against the atoms!!!! !